The Womens Svalbard Coat from Jack Wolfskin was designed to appeal to the fashion-conscious woman lookIng for a simple, warm Winter Coat. This quilted Coat has a very clean and stylish design so you'll look great wherever you wear it.With its sLightly longer cut and High performance Insulation, the Svalbard will keep you snug and warm from top to bottom. 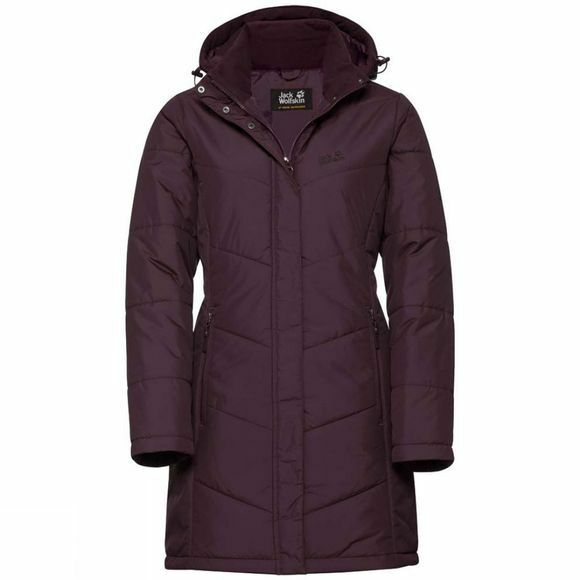 The Windproof outer fabric makes the Coat even warmer. Snow showers and Light rain are no problem for the Svalbard. The synthetic Insulation works well even when damp.